So here is the page devoted to tying together the pieces of the open mic adventure that I have lived in Montreal since I first started. At each subsequent Formula One race that I visit this year, I will add a new such page. Keep posted…. Having finished my weekend of work in Montreal on Sunday night in complete tranquility, and knowing that the Brutopia open mic starts late, and the list is often not made until around 10 p.m., I decided to eat a pizza at a restaurant up Crescent Street and not worry if I only got there at 10:30. I’d been a few times in years past to find it pretty empty, maybe five people on the list. Sunday, it proved fatal for my desire to play – and then put in a full day’s work on Monday morning before returning to Paris: Arriving at Brutopia at 10:30 or earlier, I found that I was No. 17 on the list!!!! It was jam packed full of musicians and spectators, and there were several groups among the musicians on the list – i.e., major productions to get up and set up. So by about 00:45 I decided it was time to throw in the towel and admit defeat. I left Brutopia without playing, and with probably seven musicians – at three songs each – ahead of me before my turn. Still, I really enjoyed the evening, the level of musicianship was very high, and the crowd and vibe was wonderful. 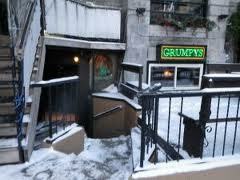 The venue is one of the more lively and congenial in Montreal, in fact, on a stretch of road that has several pubs with music side-by-side; in fact, it is next door to the Crobar, where I played on the Wednesday evening. It was also great to see Danny Fonfeder again, and to look at, hold, hear and film one of his amazing Blueberry Guitars. It was only this time that I noticed that the fabulous little stage is also visible from the floor above, but no one ever seems to sit up there, making it an even cooler setup than I ever thought. The evening was again MC’d by the cool Scott, who plays a means new-wave-like music beforehand, but I missed his set this time. Anyway, that’s enough of run-on sentences and filling space with words between the videos – have a look at the vibe and a listen to the music yourself…. MONTREAL – It was supposed to be a dead night at the Bull. I was really happy that turned out to be a bunch of bull. 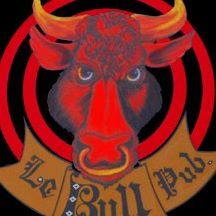 The Bull Pub open mic on Ste. Catherine Street is about as raw as they come: A bar with a clientele ranging from just about everyone to just about everyone else. But that stage is nicely placed, the sound works, and Eric the MC is enthusiastic and fair. The open mic has not been the most successful in its recent history, it seems, but Eric and his team – of one or two others? – has taken over in recent weeks, and it looks like it is building up a following. It is another part-jam, part-open mic type of evening, and the stage has a drum set and amps and so can greet a whole band without problem. In fact, last night, I was the only solo singer songwriter to perform, while I was there. But the bands ranged from romping rocking to punk-like country, to a very cool singer woman doing classic rock stuff from the 60s…. A real fun night, and I got to go up twice and did a total of seven songs. I will be back…if I get back to Montreal again next year. MONTREAL – I had long heard about the Crobar open mic on Crescent Street in Montreal, but I had never had a chance to play there. Until last night. It turned out that despite it saying “open mic” out front, as well as jam, it is much more geared toward a jam session than an open mic. But it became clear instantly, with the warm greeting by the host, Louis, that the Crobar has the open mic spirit, and that means all are welcome, and anything goes. So I got to play my acoustic set in a night that was – and always is – dominated by bands and jams with various high-energy rock musicians. There’s a drum set, electric guitar and bass, and the volume is super high. The stage is low and cool, and the television is overhead in case you get bored and want to watch the Stanley Cup finals…. The standout moment of the evening was a really interesting trio band that performed in public for the first time. 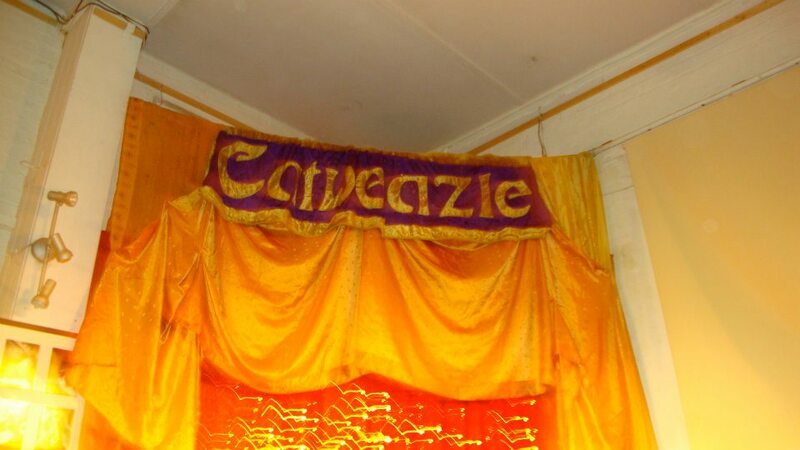 It is so new that they have no name for the band yet! It sounded really promising, and by the time they played my iPhone had recharged, so I filmed it. I had come all this way, and left my Zoom Q3HD in my hotel room, so the sound is not great. Leaving the Crobar I headed back to the hotel and on the way there, just around the corner, I heard sounds from the first floor of a corner building that made me think there might be an open mic there too – it was audience laughter, a person talking, something that sounded open mic for some reason. So I went up and found that the bar was called l’Escalier, and that it is an open mic, mostly spoken word stuff, but also music. I was told by the organizer that it was about to end – at midnight – and so I was too late to make the list, but I should come back next week. I told him I could only come back next year if I was lucky, but that did not change anything! As I began to leave, I heard a call from across the room and turned to find Danny Fonfeder. I had met Danny at an open mic in Paris in 2011!!! He is a businessman who lives in Montreal and does a lot of travelling for his business, and he takes his guitar and plays in open mics around the world. Sound familiar??? 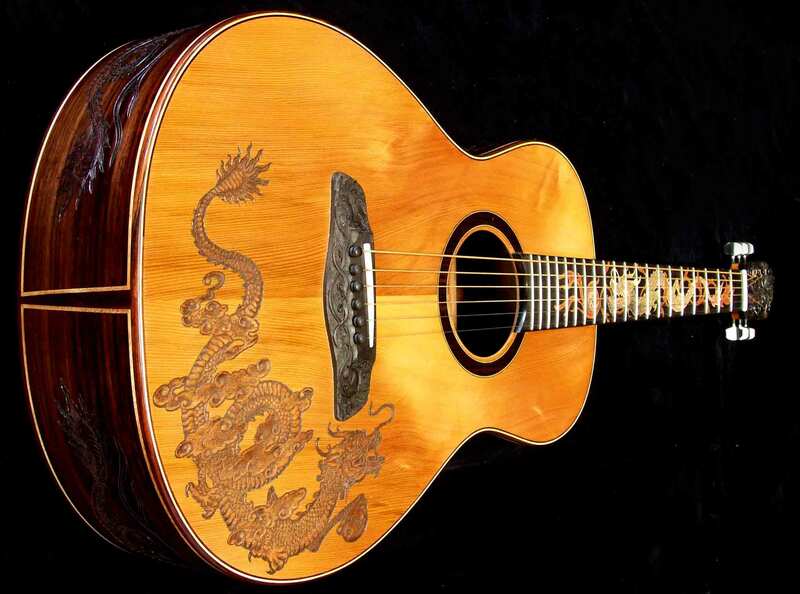 My own adventure may have led to all sorts of – unprofitable – side projects, but Danny the businessman came up with an interesting idea for himself, which is the creation of his company “Blueberry Guitars.” These are beautifully crafted guitars with carvings on them – take a look at the Blueberry Guitars page. So we spoke a little, and Danny told me he had played in the open mic just 15 minutes earlier. I was not happy I missed this one!!! 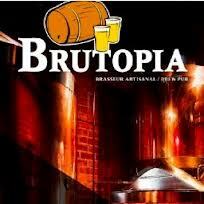 It was another insanely fun night at Brutopia, a mainstay open mic of Montreal. I say “insanely” fun because two or three of the acts were quite insane, in fact. A reflection of Montreal? It was my fourth or fifth time at Brutopia, and again I found it the kind of evening that by the time I left I was thoroughly satiated by the investment of time – and beer money in their microbrewery products. The one thing that it also had in common with previous nights was a bit of a slow beginning with louder sounds coming from the spectators than from the stage. But that did not last long before the stage activity began to take precedence over the crowd. And in the end, there were enough cool and insane acts to make the whole evening worth it. Plus I got to hear my friend from Paris, Raphaëlle, doing her amazing songs that I am used to hearing in Paris, and blowing away the crowd completely. I was also joined by a few Formula One journalist colleagues, and while they came during a bit of a down moment in the evening and made me worry I had got them to come to an off-night at Brutopia, things suddenly picked up. The insane ones? Well, there was MC Puzzle, to start with. This is a white Montreal rap artist of exceptional something – but I’m not sure what! Just check him out…. It was his birthday – apparently – and at the end of his act the MC of the evening – Scott – told the public they ought to by MC Puzzle some beers. A member of the public shouted out: “He oughta be buying us beers!” It was all in fun…. The maddest hatter of them all was the bass player from the band Street Meat, which I had seen last year or the year before. He wore a top hat and played solo bass and sang along. He specializes in a Jerry Lee Lewis lunacy. It was very, very cool.